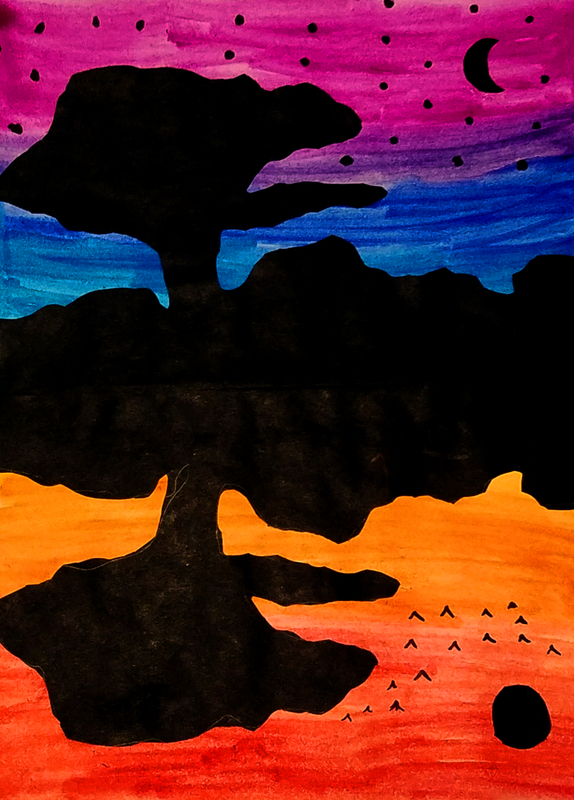 Using warm and cool colors students will create landscapes out of two folded sheets of paper. 1. SWBAT define warm and cool colors. 2. SWBAT create day and night landscape artworks. 1. Find an image of a landscape you want to draw. 2. Fold construction paper in half widthwise. 3. With the fold at the bottom begin drawing the silhouette of your landscape. Cut your silhouette out creating two copies. 4. Fold the cardstock the same way as you did the construction paper. Paint half of the page using warm colors and the other half with cool colors. 5. Glue the silhouette to the cardstock, making sure the two folds are lined up together. 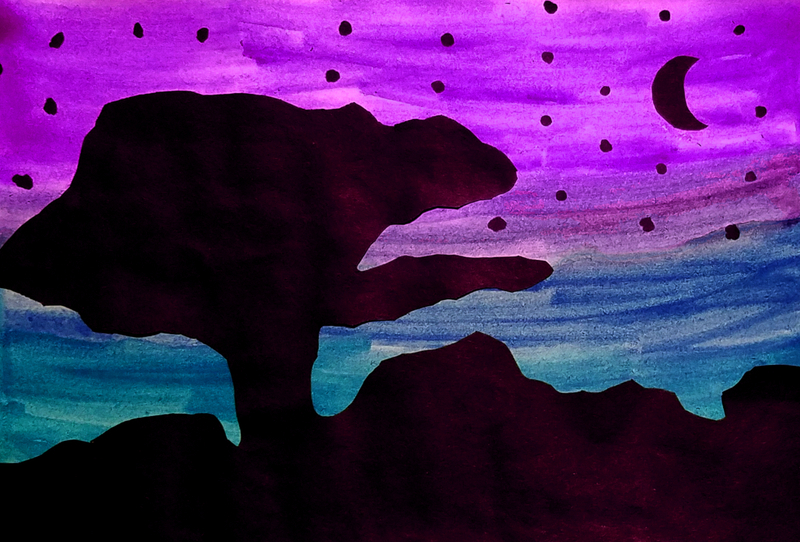 With left over construction paper or a black marker add details to make each landscape represent day and night. 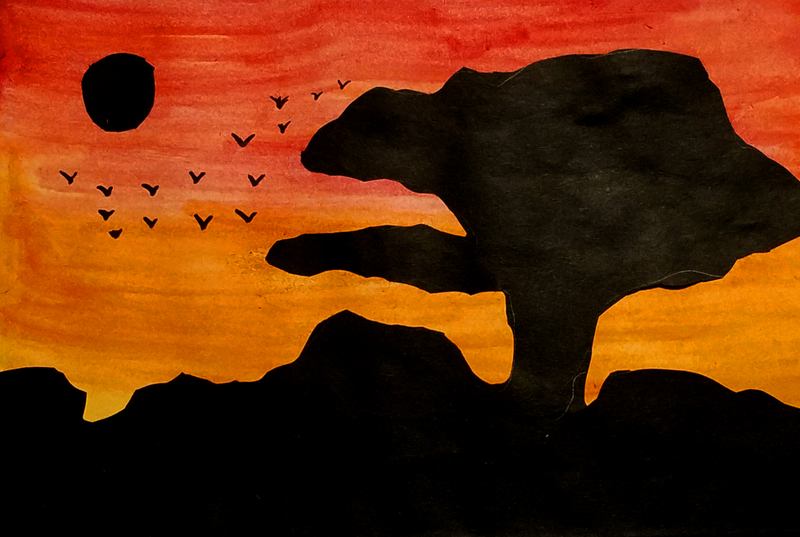 The silhouette on top of the warm colors will be day and the one on top of the cool colors will act as night.